TeleSource is proud to support Grin Kids, a non-profit foundation created by Kiss 95.1 FM‘s morning show duo, Ace and TJ. The Grin Kids organization sends terminally ill children and their families to Disney World every year expense-free. 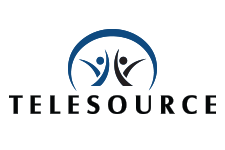 TeleSource hosted the annual Casino Night Fundraiser to raise money for Grin Kids. After a few hours of guilt-free gambling, guests were entertained by a live auction where they used their Grin Kids Bucks winnings to bid on items donated by local area businesses. All total, the event raised $5,380 for the local children’s charity.